The rise of new athletes, the dominance of old, stunning performances and a touch of scandal were all components of the Winter Olympics. 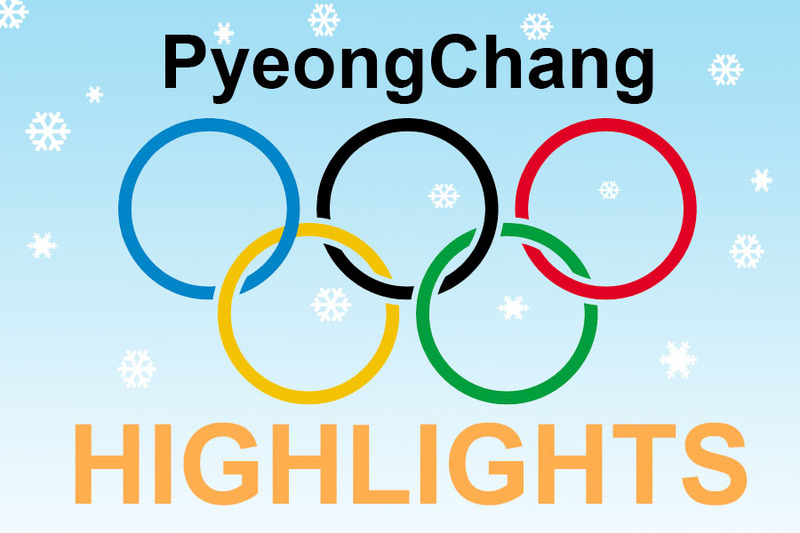 All eyes have been on PyeongChang from Feb. 8 – 25, but in case you missed a few events, here are seven highlights from the 2018 PyeongChang Winter Olympics. The U.S. racked up a total of 23 medals, placing fourth in the overall medal count. Nine gold medals were awarded to the U.S. and were earned by athletes such as Jamie Anderson for women’s slope style snowboarding and David Wise for men’s ski half pipe. The U.S. also took home eight silver and six bronze medals. Norway placed first in the medal count with 39 total medals, followed by Germany with 31 and Canada with 29. Rockville’s own Haley Skarupa won gold in women’s hockey. The 24-year-old is a Wootton HS graduate and played for their coed hockey team. Skarupa had been cut from the Olympic team in March, but was called back for a second chance at an Olympic trial and officially made the team in December. Skarupa played for Boston College and the National Women’s Hockey League (NWHL) for the Boston Pride and Connecticut Whale. This year, Russia’s Olympic committee was suspended after numerous doping scandals in past Olympics. Russian athletes had to compete as members of the Olympic Athletes from Russia under the Olympic flag instead of the Russian flag. Russian curler Aleksandr Krushelnitckii tested positive for doping and was stripped of his bronze medal in curling’s mixed pairs. The Court of Arbitration for Sport (CAS) suspended Krushelnitckii from further competition while the investigation continues. Slovenian hockey player Ziga Jeglic and Japanese speed skater Kei Saito also failed their tests for performance-enhancing drugs and left the Olympics. Snowboarder Shaun White won the gold medal in men’s halfpipe, becoming the first snowboarder to ever win three Olympic golds. This win also marked the 100th U.S. Winter Olympics gold medal. Skier Lindsey Vonn took home a bronze in downhill, which came as a bit of a surprise as she was expected to place first. The 33-year-old, three-time Olympic medalist was the oldest Alpine skier to medal this year. Vonn said that this would be her last Olympics, having suffered numerous severe injuries. This year’s Olympics saw the rise of several young, noteworthy athletes. Seventeen-year-old Ohio native Red Gerard won the first gold medal for the U.S. in men’s slopestyle snowboarding. Gerard caught the nation’s attention after he overslept for his event having spent the night watching Netflix. Gerard had misplaced his jacket that morning and had to borrow his teammates, then cursed on live television following his win. Gerard became the youngest American man to win gold since 1928. Charismatic 17-year-old snowboarder Chloe Kim also turned heads when she won gold in women’s half pipe snowboarding. The Southern California native and daughter of South Korean immigrants was the youngest member of the women’s snowboarding team and began snowboarding at age 4. Kim accumulated about 325 thousand twitter followers over the course of the Olympics and made an appearance on The Tonight Show with Jimmy Fallon. For the first time since the 1980 Miracle on Ice, the U.S. took home a gold medal in hockey. The women’s hockey team won the championship game against Canada with a score of 3-2 following a shootout. Monique Lamoureux-Morando scored the second goal for the U.S. to tie the game up, and her twin sister Jocelyne Lamoureux-Davidson scored the final shootout goal. The U.S. men’s hockey team lost to the Czech Republic in the quarterfinals, and the men’s Olympic Athletes from Russia won gold. Despite high tensions between the two countries, North Korea participated in the Winter Olympics this year and marched with South Korea in the opening and closing ceremonies. The two nations also had a joint women’s hockey team composed of both North and South Korean athletes. During the opening ceremony, the athletes carried the Korean Unification Flag which depicts the Korean peninsula. However, during the closing ceremony, most Korean athletes opted to carry the flag of their respective countries. The games ended with South Korea’s presidential office releasing a statement which claimed that North Korea desires to hold talks with the U.S. and South Korea in the hopes of improving relations between the countries.